Talisman is part of Repsol Group since its acquisition in May 2015. Repsol is an integrated global energy company with vast experience in the industry. It carries out Upstream and Downstream activities throughout the entire world. We are present in more than 40 countries and we have a team of more than 27,000 people committed to a future project: the construction of a sustainable energetic model. Indonesia activities include exploration and production, in both on-shore and off-shore environments. We aspire to continue to grow our presence in Indonesia through acquisitions and successful exploration. Ensure the contractor conforms to its own HSE MS whilst adhering to and implementing the requirements as set out in the contract HSE Exhibit and applicable national legislation. Follow up no-conformance to the above, prepare and monitor an action plan to rectify nonconformance. Review and follow up on action items of non-conformance identified and reported during the HSE marine audit prior to the commencement of the operation. Minimum 5 years’ experience in offshore seismic operations, with pre-requisite HSE offshore supervisory experience. Major in Marine science, Geophysics, Geology, Engineering is preferable. To ensure that Contractor understands and complies to all contractual terms previously signed with the Company. Review contract, scopes of work and technical specifications to ensure their correctness in terms of geodetic and survey content. Research the basis of geodetic data relating to the project to ensure that the datum,spheroid and projection to be utilized are correctly defined so that final coordinates and levels will be expressed in the correct geodetic and mapping systems. 10-15 years’ experience in Marine geophysical operations, with at least 5 years in a QC supervisory capacity in both seismic data quality and navigation. BSc in geophysics or equivalent qualification and knowledge of seismic marine data processing is required. To ensure that Contractor understands and complies all contractual terms previously signed with the Company. Review periodic instrument tests (daily and monthly), to ensure that the recording system is functioning to the manufacturer’s specifications. Monitor hydrophones and cable tests to ensure that they meet contractual standards. Keep records of all QC data. OBP QC- At least 5 years of experience as a rocessing supervisor for 3D marine projects. At least 10 years of experience as technical auditor for Marine geophysical operations, preferably for 3D vessels. The main role is to engineer and coordinate the drilling operations supports, especially the onshore infrastructures installation that required to engineer, procurement construction and installation (EPCI) work. A Bachelors Degree in Civil engineering. Expertise in the oil and gas access road, infrastructures and wellpad design and construction. To advise, coordinate and supervise the overall drilling operation in the field as the representative of the Company. Individual must closely monitor all safety performance, well construction activities, drilling performance, logistics operations and prepare detailed daily accounts of all activities. Minimum 12 years of experience as Day Company Man. Responsible for the tax reporting and the management of corporate income taxes, petroleum income taxes, as well as indirect taxes for the Company. This will include overseeing and managing the preparation of tax compliance requirements within Indonesia. This individual will provide the deadline management, tax research, and will proactively assist other departments with items concerning various aspects of tax on an as need basis. Minimum 15 years of experience with extensive exposure in Oil and Gas industry. Expertise/significant experience with income tax provisions under IFRS. Certified for Tax court license qualification. 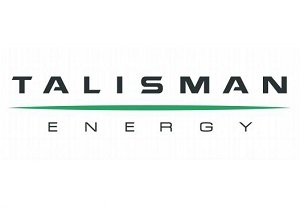 Thanks for reading Talisman Energy Indonesia Jobs: 6 Positions. Please share...!